Upon arrival at the airport, meet and greet with your driver guide. 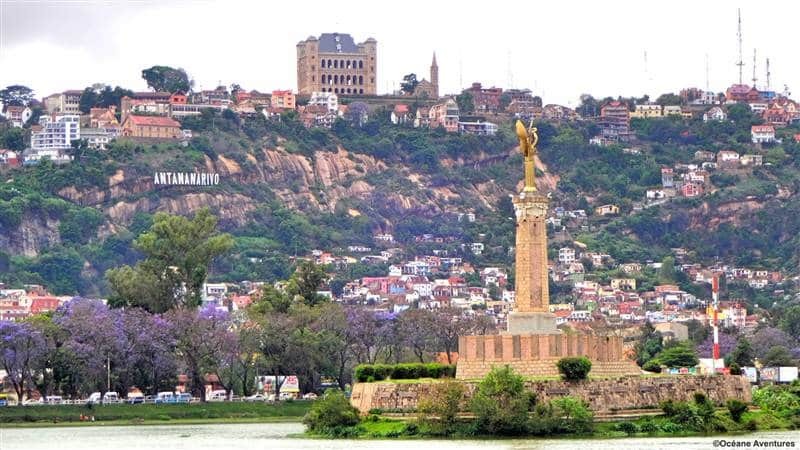 You will leave Antananarivo to go to Andasibe. You will cross a myriad of villages and get acquainted with the traditional lifestyle of the Malagasy people. With pretty golden grasslands on the background, you will enjoy the amazingly abundant rice paddies, chimneyless long clay red houses and millions of roadside markets displaying a variety of handicrafts, fruit and meat. You will arrive in Andasibe late in the afternoon and get settled at the hotel. After an early breakfast, you will have a full day devoted to discovering Andasibe parks and reserves. The humid forest of Andasibe is one of the most beautiful and the richest areas in terms of biodiversity. 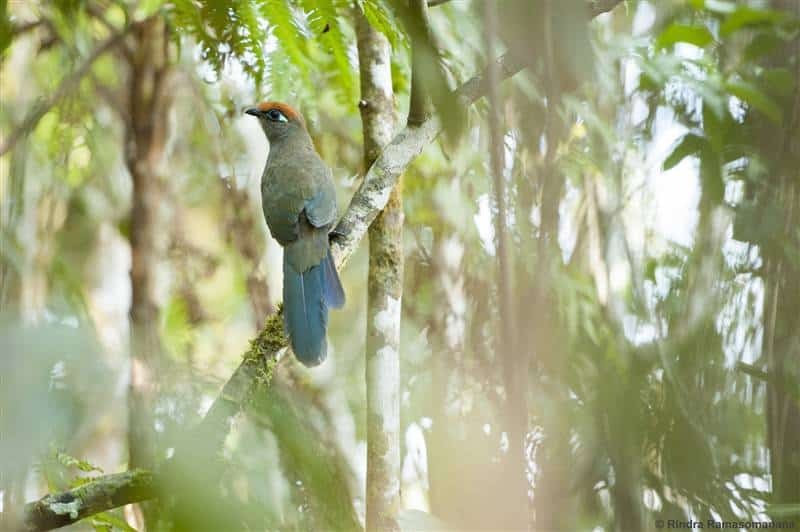 These forests are located at an altitude of 900-1,250 meters and trade winds blow permanently on its Eastern part. They also shelter many animals, this way ensuring their preservation.108 species of birds can be found in the park. Some of them, like the Terpsiphone mutata, contribute to some plants’ survival. 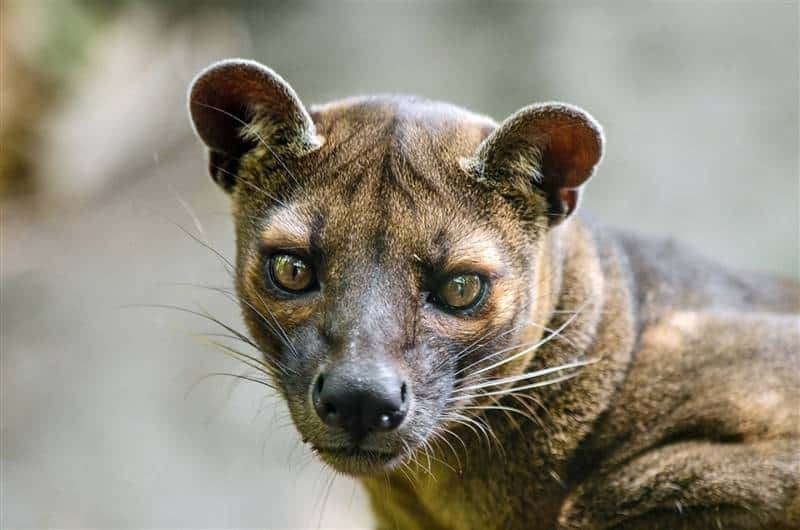 There are also 14 species of lemurs, 51 species of Boa reptiles including the famous Boa “manditra”, and 84 species of amphibians. In terms of flora, they are home to creepers and epiphytes such as orchids, mosses and ferns. We can find there various orchids with more than one hundred listed species. Special Reserve of Indri Indri: 3 h to 4 h stroll to observe the biggest species of Indri-Indri lemur. 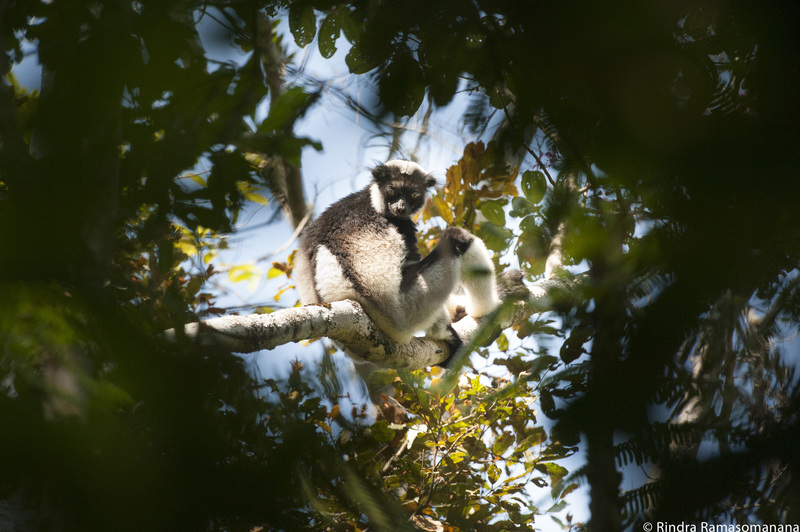 Besides, some endemic species as Eulemur fulvus and Hapalemur griseus can be seen there. We can also observe a few birds’ species. 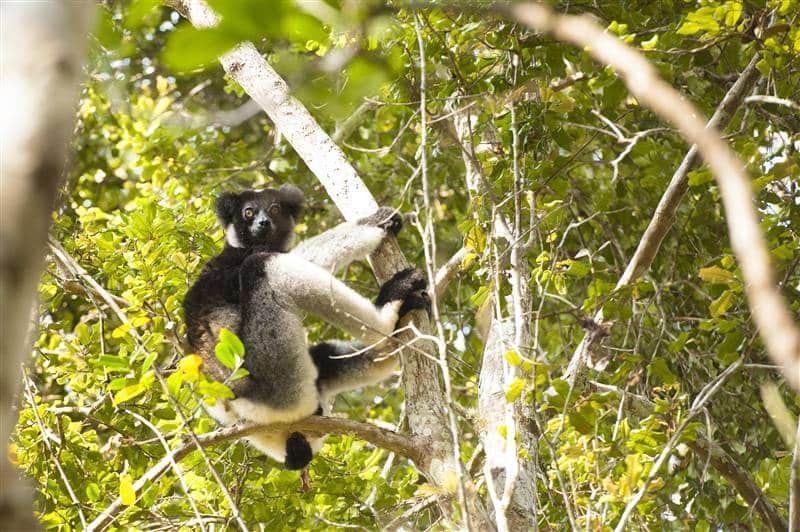 Mantadia National Park: at 1h30 drive from Andasibe Village, territory of the « Diademed sifaka », one of the most beautiful lemurs of Madagascar, and some species of « Roller ». Provide a lunch at your expense. In the evening, you will explore the VOIMMA Park: This park is run by the village community. It is here that late-night strolls are carried out. There are many species of nocturnal lemurs and chameleons. After the breakfast, a last visit in Andasibe, the Islets of lemurs of the Private reserve of Vakona forest Lodge. The lemurs here have relative freedom. There are 4 species of lemurs (Ruffed lemur, Ring tailed lemur, Hapalemur, Propithecus diadema). Then, you will hit the road towards Antananarivo. You will arrive in late afternoon and get settled at the hotel. Transfer to the airport to have the flight to Morondava (depending on the flight availability and schedules). Welcome by your hotel and get settled. Passage through the famous alley of baobabs, green giants crowned with their canopy. Provide a lunch at your expense, in Tana or in Morondava, depending on the flight schedule. Head to Belo Sur Tsiribihina, specifically in the locality of the Lodge. Dinner and overnight stay at your Lodge. 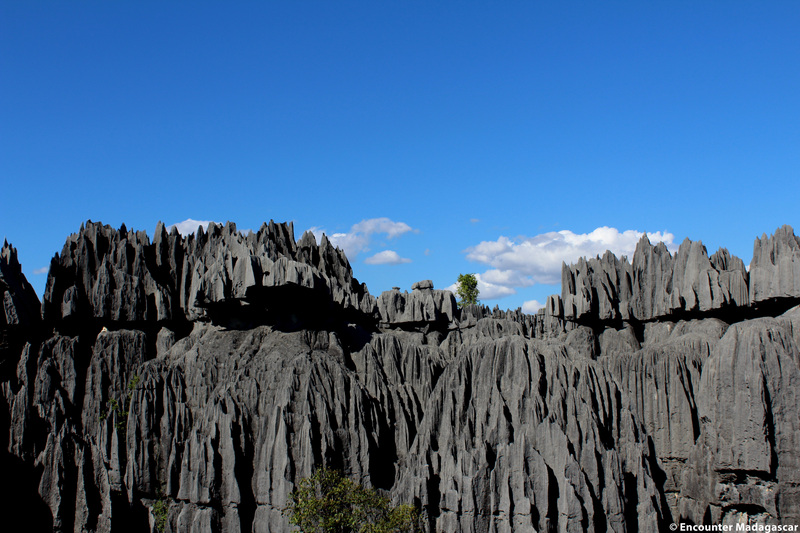 Departure to reach Bekopaka, the gateway to the Tsingy of Bemaraha massif. 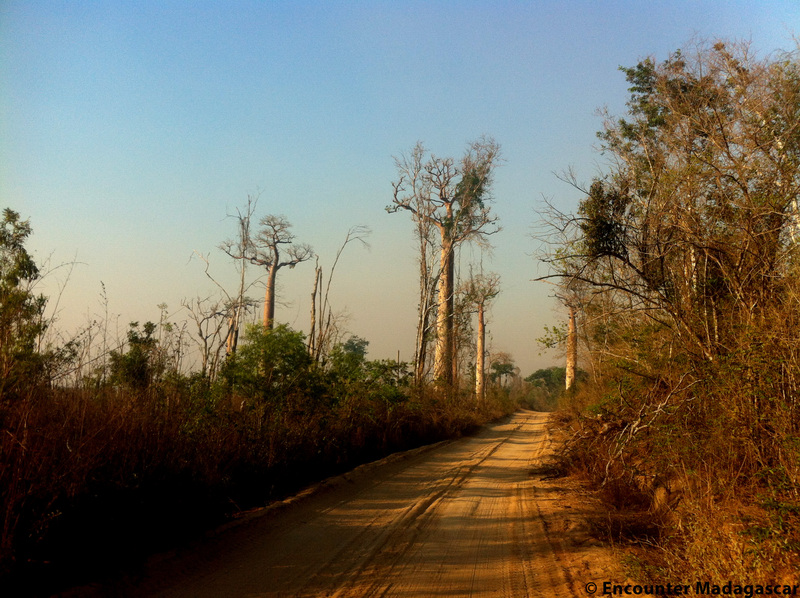 We incrementally discover the unique western ecosystem of the Madagascar with its sparse dry forests. Crossing of rivers by a basic ferry: change of scenery guaranteed! Provide a picnic lunch at your expense, during the journey. Arrival at the end of the day at the doors of the massif, and well-deserved rest at your hotel! The passages of basic ferries require a little patience because they are the only way to cross these rivers. They are therefore subject to the river traffic. Have an early breakfast and then drive to the Tsingy. Enjoy the splendid hike to Andamozavaky, 17 km from the park entrance: mazes, joints networks and canyons with impressive dimensions that take you step by step to the top. You will pass through tunnels where it is sometimes necessary to get on all fours. You will have to go through the suspension bridge and its lookouts that have magnificent views across the park. Provide a picnic lunch at your expense, during the visit. Return to your hotel late in the afternoon. You will leave early in the morning for a long trip to reach Kirindy reserve, about 50 km northeast of the town of Morondava. Cross the bushland that is typical to the West. You will then cross Belo Tsiribihina before going your way to Kirindy. Also, you will have a fascinating discovery of the Sakalava tombs as you get closer to Morondava, the capital of Sakalava Menabe. Get settled at the lodge and you will have a nocturnal visit to spot nocturnal lemurs. Morning visit of the Kirindy reserve which is the best place in the whole island to observe the Fosa, the largest predator of the island, especially during the mating time between October and December. 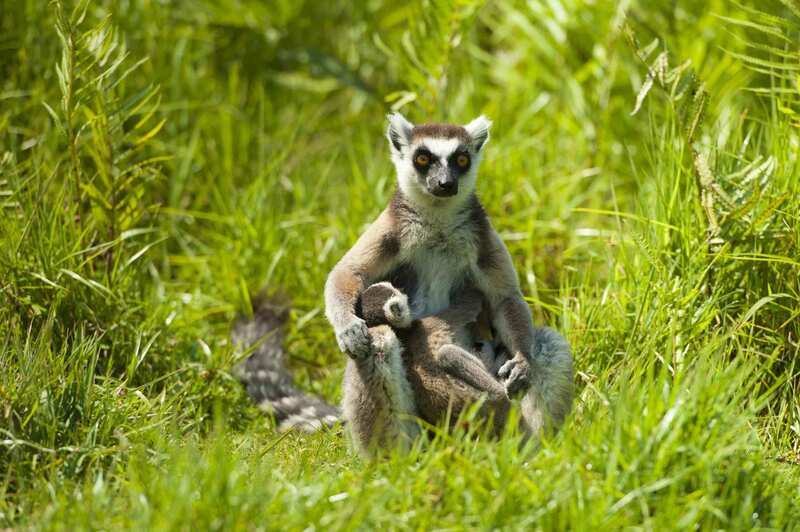 It also home to seven species of lemur. The most common are the common brown lemurs and the Verreaux’s sifakas. Provide a lunch on spot at your expense. Then, road back to Morondava in the afternoon. 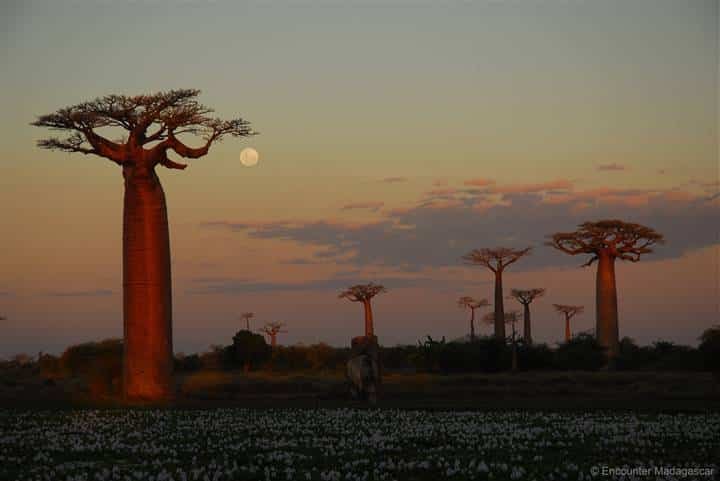 Stop on the famous Avenue of Baobabs in the late afternoon to watch the sunset. Get settled at the hotel. The trip will be done with a 4WD vehicle (4pax per vehicle). It is the best means of transportation to travel through Madagascar. Watching the Indri indri, the Madagascar largest lemur, in Andasibe Special Reserve and hearing his special chant upon awakening.